The holiday season has arrived in Rowan County. We hope you’ve made plans to visit and join in our extensive list of holiday activities. The holidays are filled with rich flavors, specialty recipes and good cheer, and in Rowan County our holiday cocktails, wine and beer are no exception! To show off our holiday spirit, we’ve put together our best Rowan County Spirits Guide [holiday edition]. Check out our local one of a kind spirits put together by our awesome Rowan County restaurants! New Sarum is serving up Sham-Pag-Na in their Downtown Salisbury Taproom this holiday season. This 10.5% ABV super dry Brut IPA is brewed with 100% Pilsner Malt from Carolina Malt House, 100 pounds of White Grapes, and Dry Hopped 4 pounds per barrel with Nelson Sauvin and Hallertau Blanc! It&apos;s bubbly enough to lift you through this holiday season and will keep you looking the part while doing it! 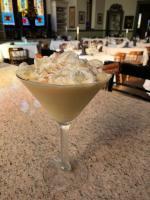 La Cava’s RumChata Eggnog Martini is the perfect cocktail to fill you with holiday cheer over a fine Italian meal. This cocktail is made with RumChata and homemade eggnog, shaken with ice and garnished with whip cream, powdered cinnamon and a cinnamon stick. During the holiday season, nothing beats a classic. 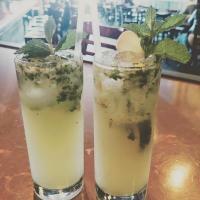 Mambo is known for making the most delicious and refreshing classic mojitos in town. Try their traditional cocktail, or add in a ginger twist. Either version will pair perfectly with your Cuban meal from Mambo Grill! Pinocchio’s is ready to put you in the holiday spirit over a glass of wine. Opici Vino Bianco is a nice dry white wine, it resembles a cross between a chardonnay and a pinot grigio. If you prefer a red variety, Pinocchio’s also recommends a glass of sweet red Sangue di Giuda to put you in the holiday mood. Forty-Six is ready to treat your taste buds to cocktails filled with holiday flavor. 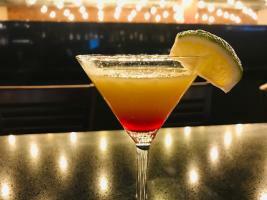 Give their Holiday in Paradise Martini and try! It’s a coconut run, pineapple and pomegranate martini garnished with lime. Or if Christmas sweets are your thing, give their Gingerbread Margarita a try! It’s a ginger cider, tequila and citrus margarita with a cinnamon sugar rim! We can’t wait to see you in Rowan County! Don’t forget to check out our complete list of holiday events happening this season! All of our events pair well with dinner and a drink! Happy holidays!